The simplest way to get a vehicle from point A to point B is to drive it there yourself. Yet there are many times when driving solo isn’t feasible. You may be moving and need to have your car at your new location ahead of time. You could have a rare or vintage machine that you want to protect from damage on the road. You might simply want to avoid the many hours behind the wheel. No matter what the circumstances, transporting may be the answer for you. 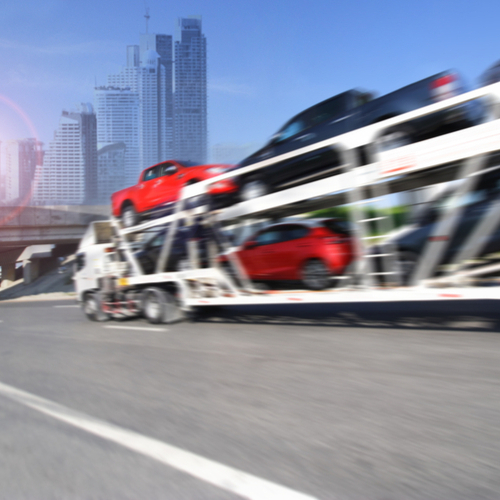 Here are some common questions about the process and answers to help you determine if car transport makes sense for your situation. An auto transport company will arrange to have your automobile relocated. Depending on what you choose, it may be in an enclosed or open trailer. You also may be able to decide whether you receive door-to-door service or if you need to drop off and pick up your car at a terminal. Regardless of the details, the upshot is that you won’t have to worry about how you’ll get it to the final destination. It’s a good idea to do some research before signing a contract with a broker. After comparing rates and studying online reviews, notify the provider of your timeframe and discuss the available options. Next, prepare your vehicle and wait for the broker to arrive or drop it off at the prescribed spot. How Should You Prepare Your Car? To reduce the risk of damages during transit, remove all loose articles from inside the vehicle. It’s also recommended that you have no more than a quarter-tank of gas, as the additional weight will make it more expensive to transport. Any alarms should be disabled, and trim elements such as spoilers should be removed. The short answer is, it depends. The farther your destination, the longer the trip will take, naturally. You also need to be aware that your provider may have other customers before getting to you. You may need to wait a few weeks before the vehicle arrives. Although you might be able to specify a delivery date, expect to pay a little extra for this. Otherwise, you will need to be patient. Again, this depends on numerous variables. The size of your vehicle, the distance it will travel and the additional services offered all play a role in the price. Another factor to consider is time of year. Generally speaking, more people transport their vehicles to the west and south at the onset of winter, and the trend is reversed as the weather gets warmer. Arranging for your car or truck to be transported could save you a lot of time and aggravation. Keep these points in mind when planning, and you can make the entire experience a lot smoother. Contact us today!